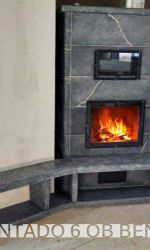 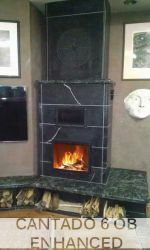 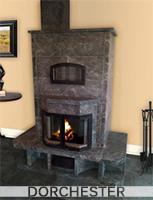 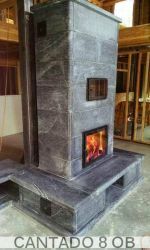 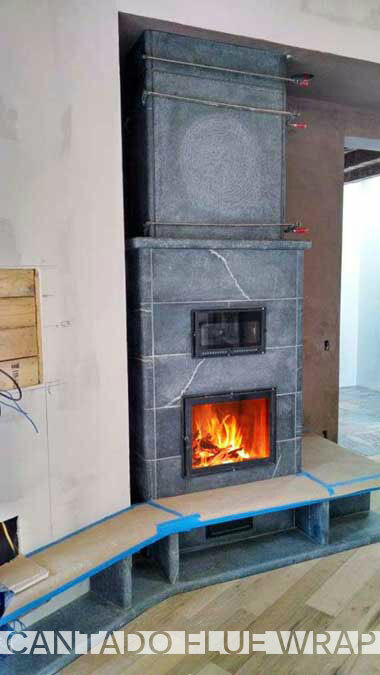 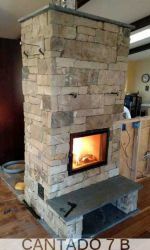 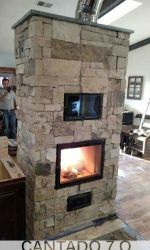 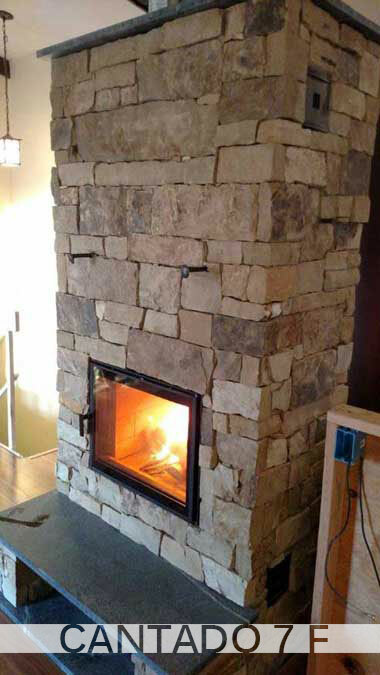 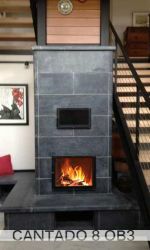 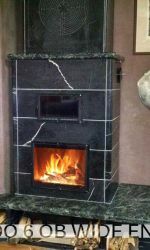 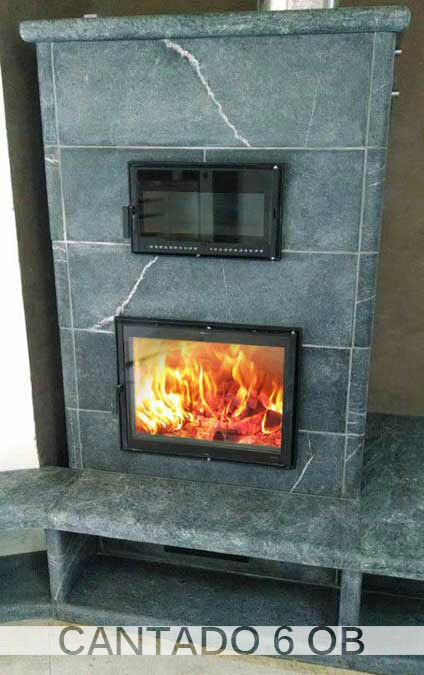 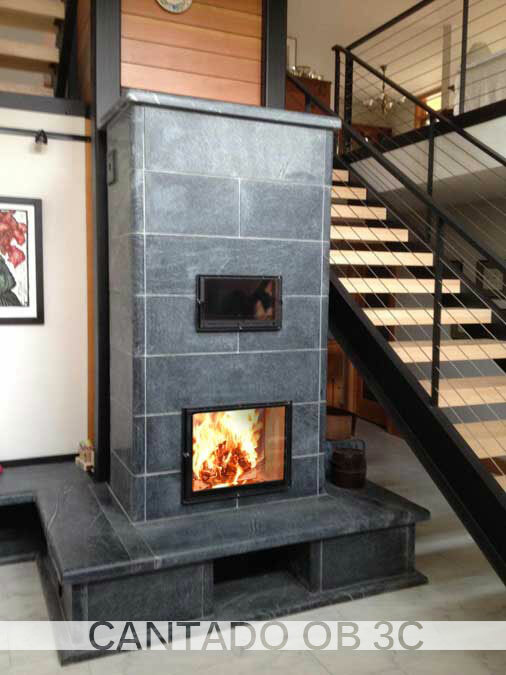 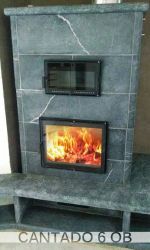 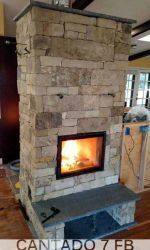 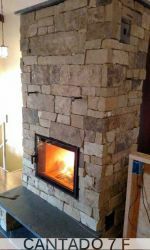 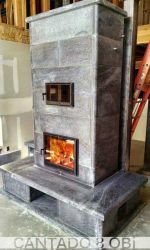 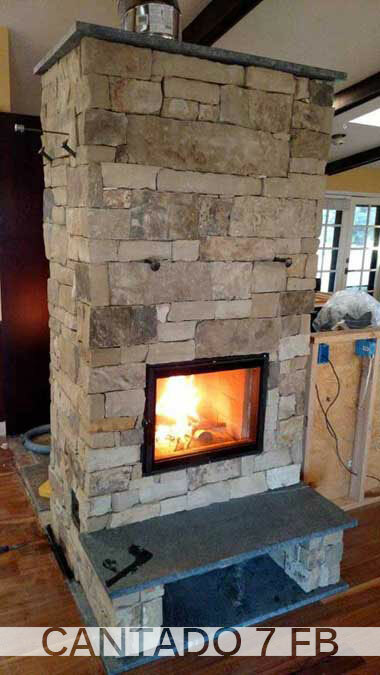 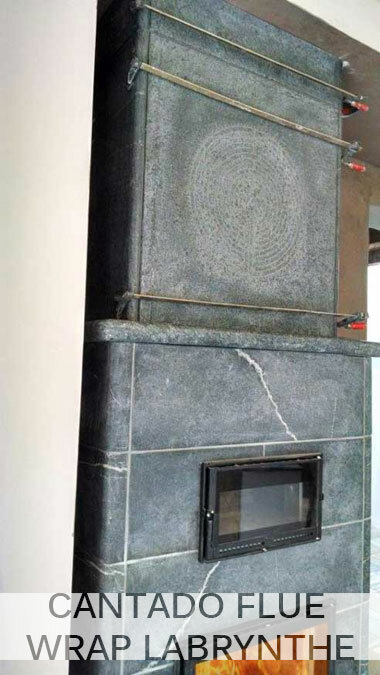 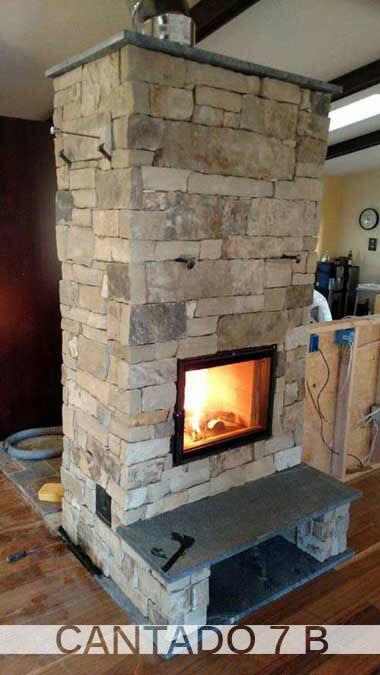 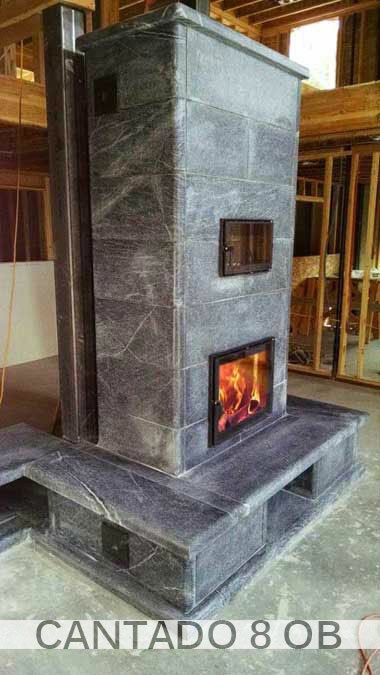 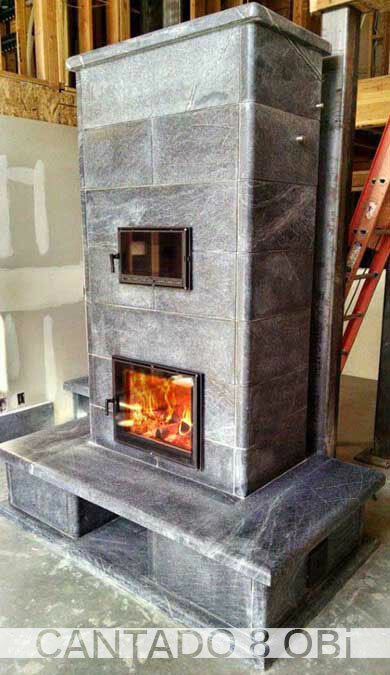 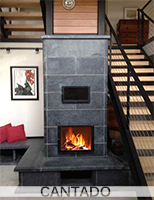 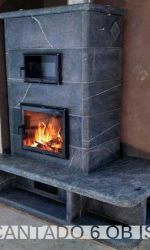 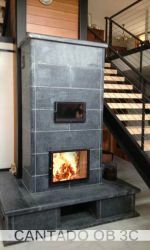 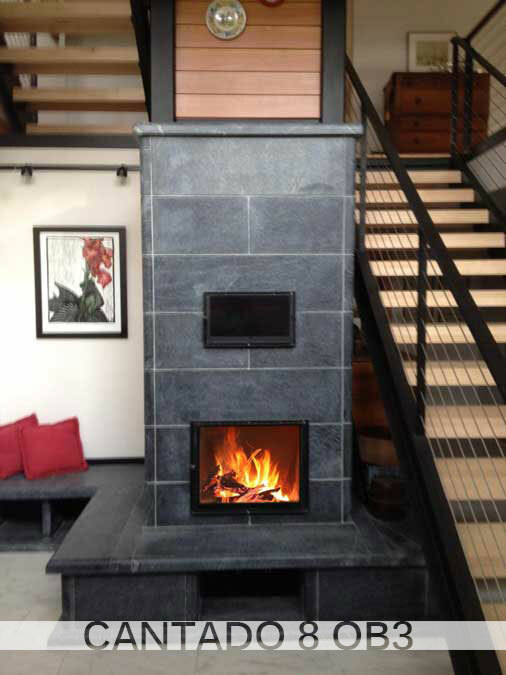 These heaters feature an over sized 21″ wide glass door and firebox, providing a larger fire viewing space. 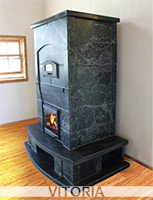 They are designed for larger spaces up to 1,900 square feet. 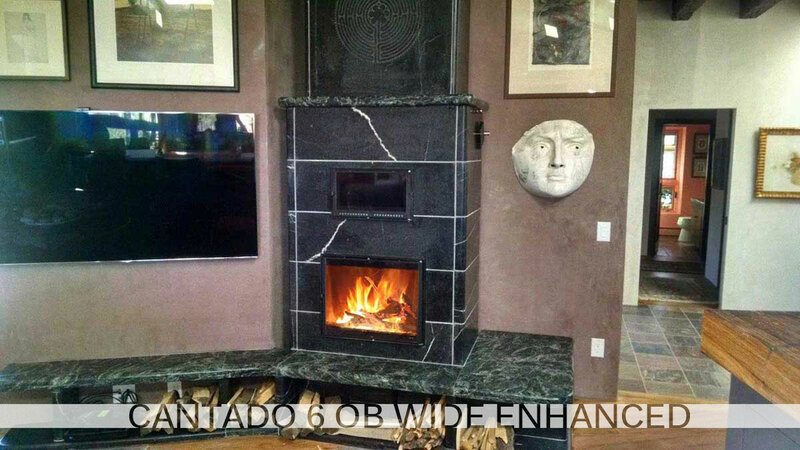 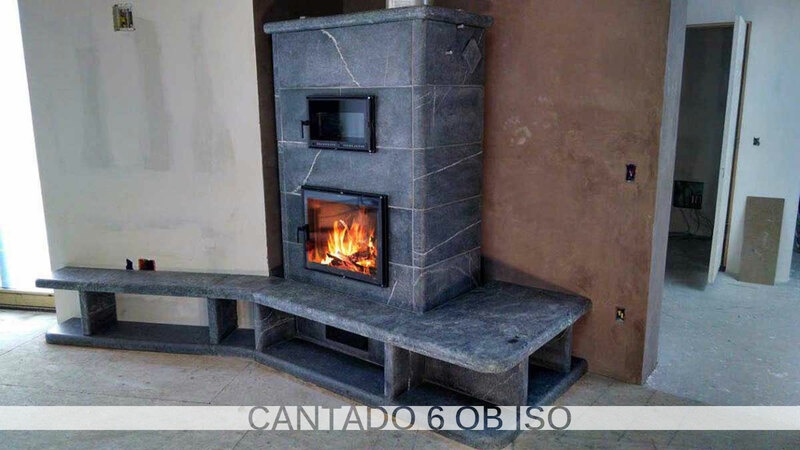 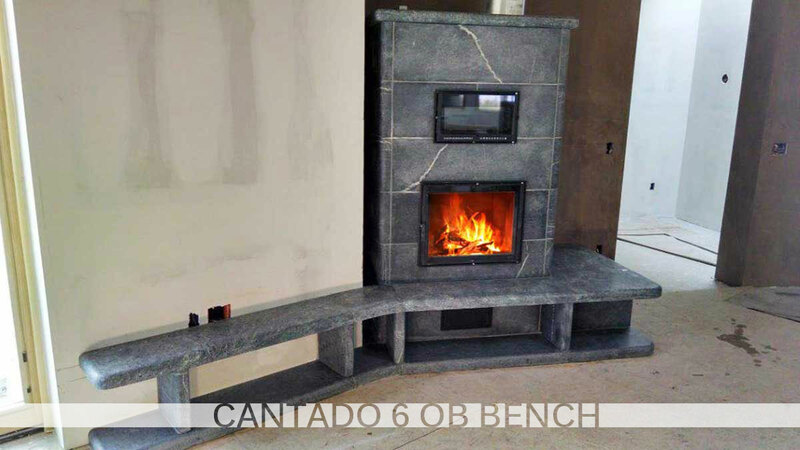 The Cantado series can be built from six to eight courses in height and has a 44.5 by 24 inch footprint.  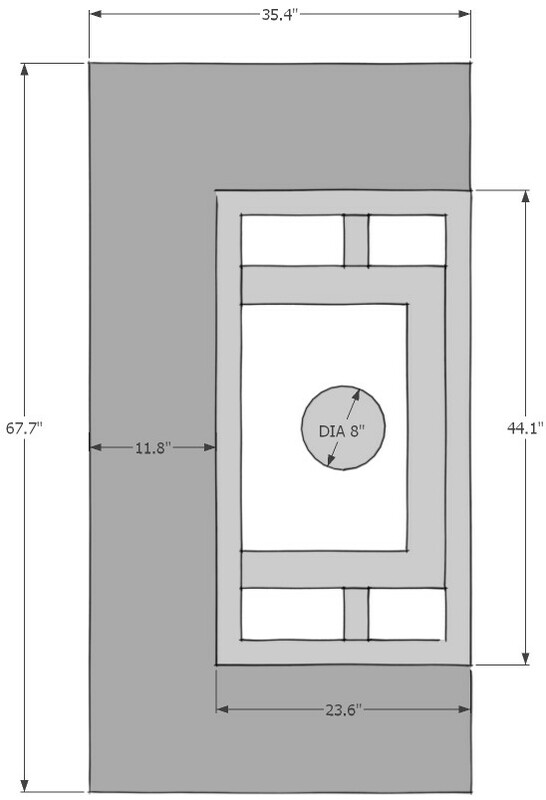 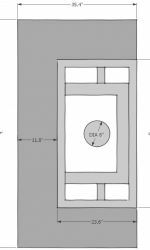 This series can include double-sided, tunnel doors, bake oven, mantle and a wide variety of bench designs. 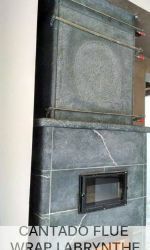 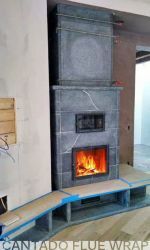 Can be built with top or rear-exit flue locations.